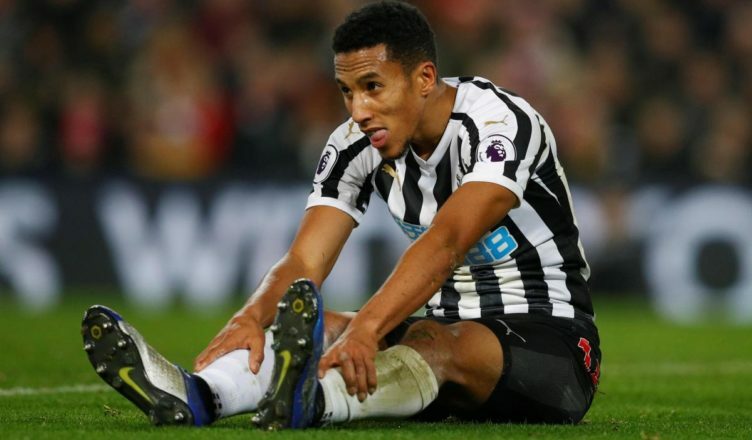 Isaac Hayden reveals the real reason why he’ll quit NUFC this summer in must-read interview – NUFC blog – Newcastle United blog – NUFC Fixtures, News and Forum. “It’s not about the money – I want to leave to see my daughter grow up”. This was Isaac Hayden’s message when asked just why he must leave this summer in a brilliant interview with George Caulkin this week. It’ been reported for a while now that the 23-year-old wanted to secure a move down South for ‘personal reasons’, but Hayden really has bared all to help everyone understand his predicament here. “My fiancé was very, very ill for the whole term of her pregnancy, the whole 9 months. “She was bed-ridden, couldn’t do anything. She was being sick 20-30 times a day. She had hyperemesis gravidarum, the condition that Kate Middleton had. She was going into hospital to be put on drips. She was in Newcastle at that point, but her family is based in the south west, mine’s in Essex and she really had no support. I remember we played Stoke at home and I was at hospital with her at 5am and then played after three hours sleep. It was carnage. He may be earning decent money, but the fact he’s performed so well on the pitch in these circumstances is admirable – especially when so many players in this day and age may have thrown their toys out the pram. Credit to Hayden here, on so many levels. Fair play to him for opening up about some very personal details and hats off to him for not only remaining very professional after he failed to seal moves away, but for also playing absolutely brilliantly whenever Benitez has had to call on him over the last few months. A lot’s been said about Longstaff over the last few weeks – and rightly so – but Hayden has been outstanding; especially in Tuesday win over Burnley where he was arguably our best player on the night. Good luck to both him and his family. It will be a shame to see him leave, but it’s a situation that needs to be sorted out once and for all this summer. Sky reporter shares amazing Miguel Almiron stat from St James’ Park debut – This is so impressive..
Good luck to the lad, he’s honest and hasn’t been a bad player in all fairness, played fantastic last few weeks with Longstaff and has shown his true potential and should go for a good market value to help towards replacing him IF we need to, plenty others in the youth team chomping at the bit…The futures bright…Ashley Out.. I hold my hands up, I am one of those who has said ‘you’re on thousands and only an hours flight away’. But reading this honest interview, and being a father myself – good luck to you lad. He’s been excellent since getting back in the team and I don’t want him to go. But being a good dad is far more important & I respect his honesty. Hope it all works out for him. Great honest interview Isaac, you are a credit to your partner and and family and obviously a great DAD, well done kid. You have shown recently by your performances you care for the team and the lads around you. WELL DONE AND GOOD LUCK IN THE FUTURE !!!! hwtl.